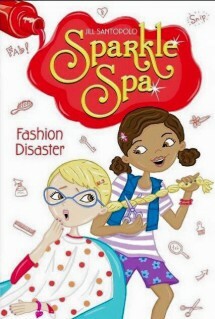 The Sparkle Spa crew kick it into high gear to help Brooke out of a hairy situation in the ninth sparkly story in this shimmering series about two sisters who open their own mini-nail salon. Talk about a bad hair day! When Brooke gets a disastrous haircut—compliments of thorn-in-everyone’s-side Suzy Davis—she vows never to show her face in public again! Will the Sparkle Spa crew convince her otherwise?